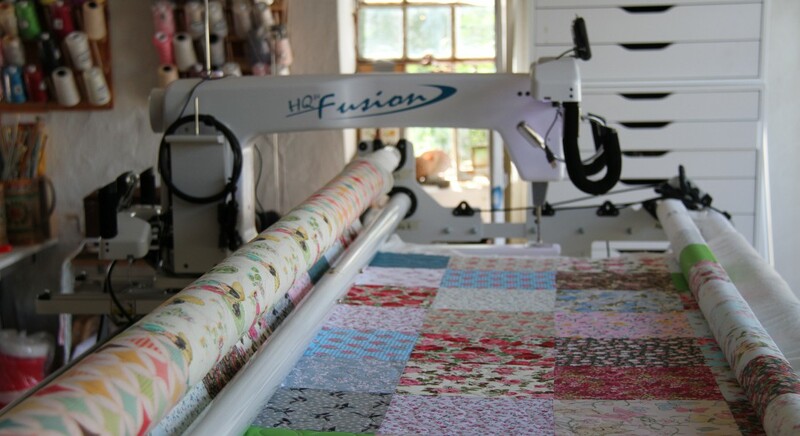 daisyquiltsforyou – Longarm quilting your way! My version of the recent BOM at https://southerncharmquilts.com/, check her out she’s so charming. Red on White, the twin to my White on Red quilt, they only took me 2 years to make! This one is pantograph quilted with stars and loops, really simple but effective and it’s super soft, the back is fabric from Helene Juuls shop and I put 3 big white stars just for fun. This was a BOM from https://sentimentalstitches.net/. Helle’s beautiful hand appliqué quilt. Karin is not only a lovely person, she also makes the most beautiful quilts, no ordinary quilter she always ops for her own colours rather than following the pattern and the results are stunning and I am the lucky Longarm quilter who gets to quilt these fabulous quilts! Red and white finished, what a beautiful day to share photo’s of it with you. Linen, silk, cotton, old bit of sacking in soft low volume colours, an experimental quilt, I ripped the fabric and cut with scissors rather than using my blade , sewed straight and wonky and it’s plenty big enough to cuddle up in, and its soft enough, I quilted it on the small mid arm machine using cotton thread and 80/20 super soft batting. “A super scrappy low volume quilt top I made following a free BOM “I am enough” by SouthernCharmQuilts. it was so much fun trying to decide colours and there a a few I might not add if I were to make it again , my favorite block is my hand! Green tea but no sweet beans! Made with super soft Liberty cotton lawn and ultra soft brushed cotton backing, this quilt is off to its new home in Scotland on Monday.